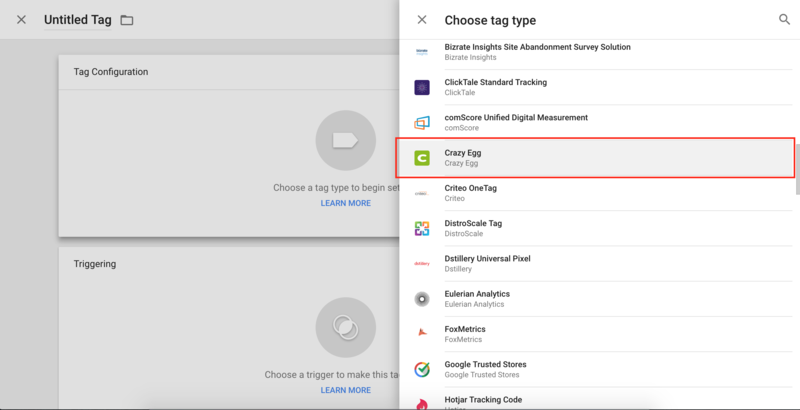 Google Tag Manager is a free tool that makes it easy to add and update website tags such as conversion tracking, site analytics, re-marketing, and more. 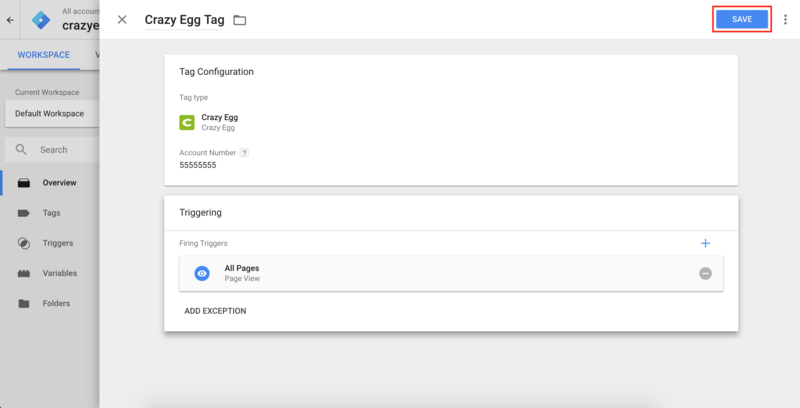 Connecting Crazy Egg with Google Tag Manager is quick, easy, and it doesn't require any coding. 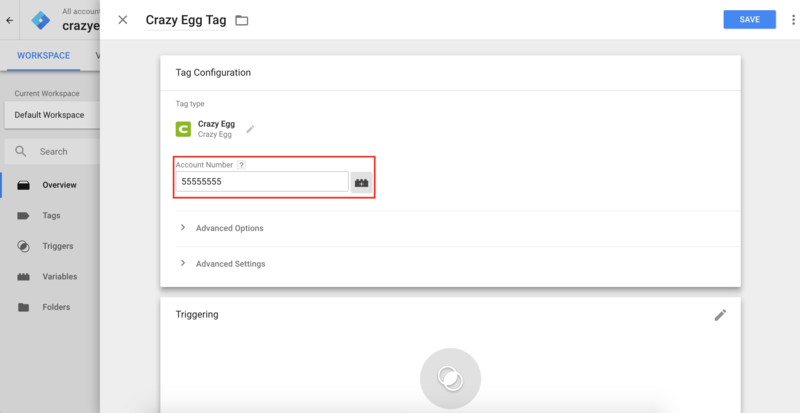 Check out this video that shows how to set your account up with Google Tag Manager. 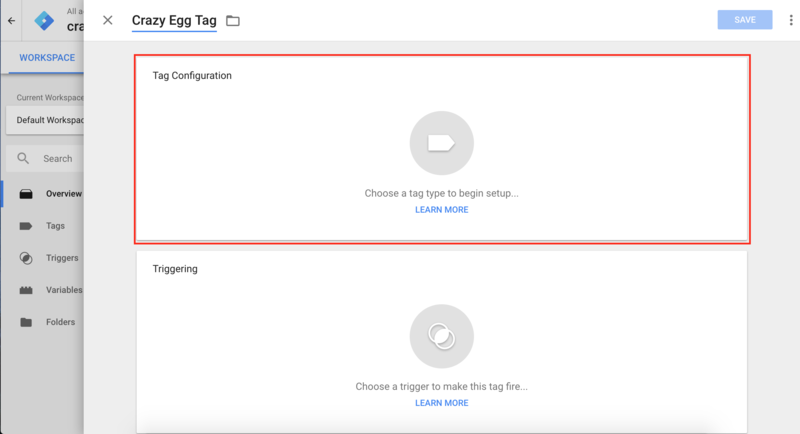 Login into your Google Tag Manager account. Click on Add a New Tag. 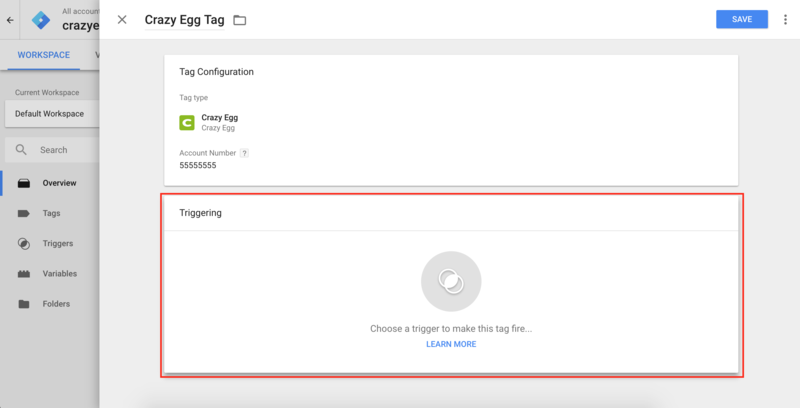 Copy the account number at the top of the Google Tag Manager Instructions page. Enter your Crazy Egg account number into the Account Number field. 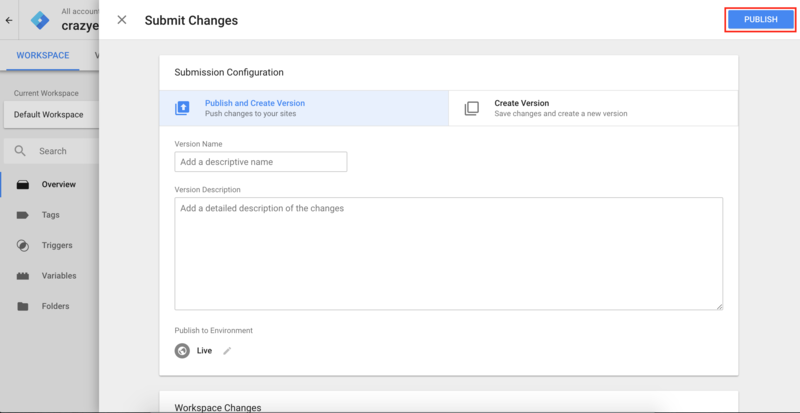 Note: The Snapshot Name field under Advanced Options must be left blank. Click on the Triggering area. 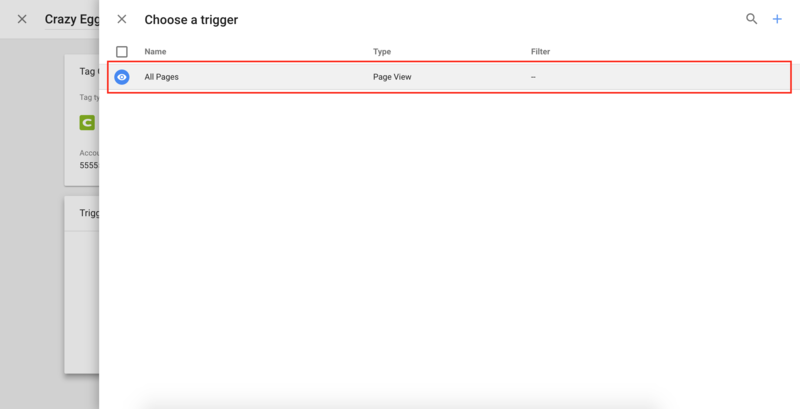 Select All Pages for the trigger. Click on Submit at the upper right-hand side of the page.